Azolla pilot project in 2011. Milki village, Paliganj block, Patna district, Bihar, India. 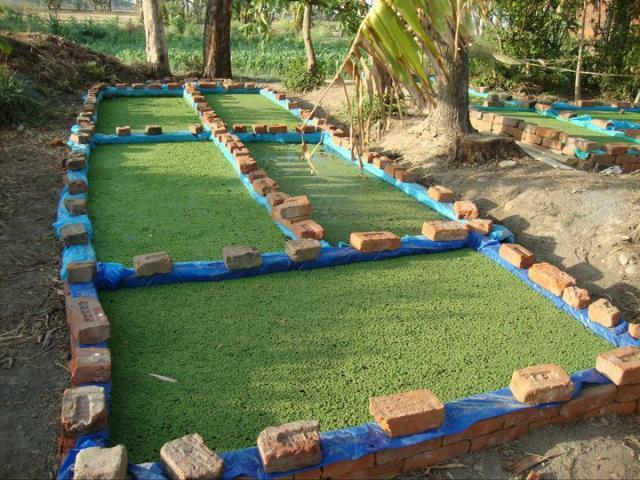 Each artificial pond is contained in a polyethylene sheet held in place by bricks.